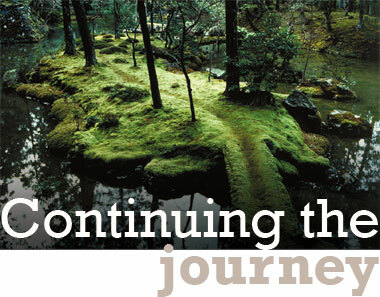 Continuing the journey conference is an open temporary community, creatively exploring continuity and tension between the world and church, nature and grace, psychology and theology. Some quotes from our 2018 conference. Good variety in the programme, beautifully paced, the rhythm was lovely, balanced with space to reflect, great structure and creativity. The Continuing the Journey Conference was born in the 1980s in an era when counselling, psychotherapy, social and community work were viewed as secular disciplines, and practitioners with a Christian faith found few places where they could articulate the connections they wanted to make between their profession and their faith. At the same time, there were those within the ministry of the church who wanted to discover how their pastoral practice could be enriched by the insights coming out of these relatively new professions. Over the years, Continuing the Journey has aimed to provide a safe meeting place for those who find themselves wanting to explore the margins and the common ground between counselling, pastoral care, therapeutic or psychological work, and also spirituality, theology and faith issues. The conference provides a bridge where people can meet each other across the gaps which sometimes divide us, become more aware of their edges and work the tensions in this ‘true but temporary’ community. Click on January 2019 for our most recent newsletter.